I never planned on buying an album by a music director I'd long ago dismissed as not particularly to my taste, especially one made as late as 1985. 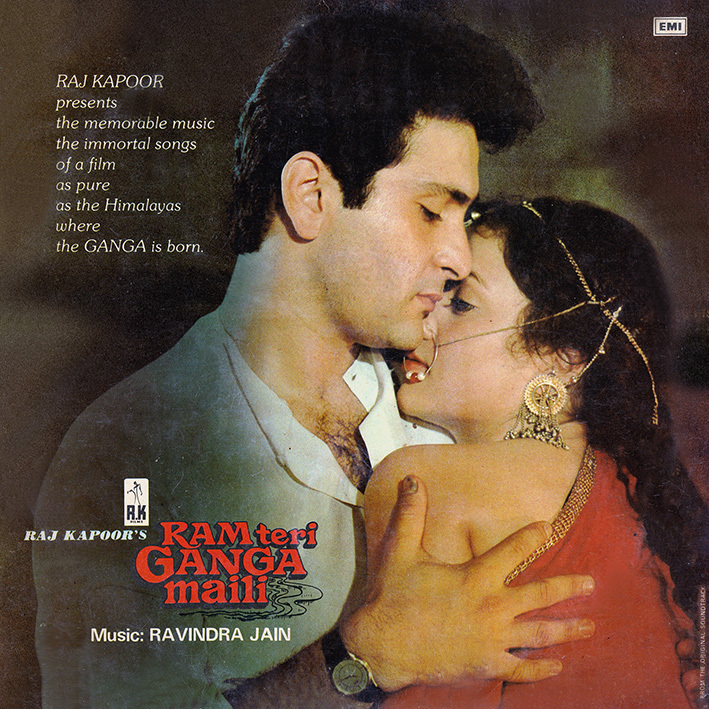 I knew of 'Ram Teri Ganga Maili's mild controversy (its director Raj Kapoor a cinema legend of course), but I don't look for soundtracks based on somewhat bold scenes in whatever film they're from. Thus there really wasn't much chance of me ever obtaining a copy of this. Until I heard it. And to my surprise very much enjoying what I was being played. To a large extent a Lata Mangeshkar show case, Ravindra Jain's score is a collection of exquisitely crafted songs that – and this is a clincher – don't come across as saccharine. Highlights include gently swaying 'Husn Pahadon Ka', exotica-tinged 'Sun Sahiba Sun' and the bewitching 'Ek Dukhiyari Kahe'; all as elegant and lush as their accompanying visuals and as beautiful as their on-screen executant. And yes, 'Tujhe Bulayen Yeh Meri Bahen' is trippily scrumptious, even outside the context of its admittedly very appealing picturization. Rip Quality:A1 (still wish it was a raw rip though 😊). Thanks for reviewing the album, pc! The 1980s are always a tread-lightly when treading at all decade for Bollywood.